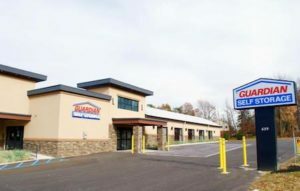 The newest Guardian Self Storage location is now open in Beacon, NY! This location is conveniently located on Route 52, minutes from I-84. The perfect solution for our residential or commercial customers in need of extra space. A short driving distance from the City of Beacon and Fishkill. This property offers easy ground level access from 6am to 10pm. We offer Temperature Control Storage units with sizes ranging from a small closet all the way up to a 2 car garage.